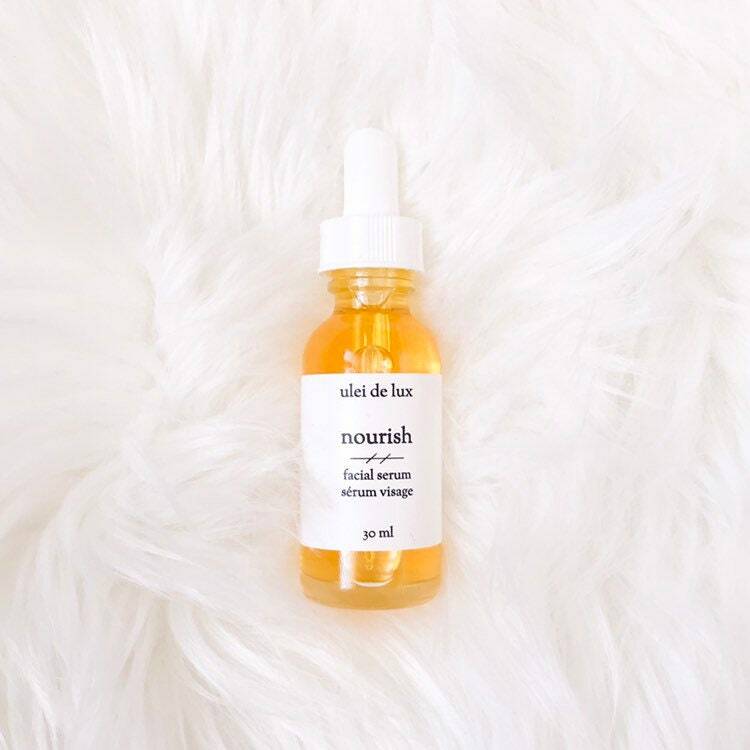 This hydrating facial oil is chock full of anti-aging plants oils to protect and nourish the skin. Made from the highest quality ingredients, it penetrates deeply into the skin to provide intense hydration without clogging pores. Simply place a few drops into your hands and massage gently into a cleansed face. Alternatively, mix a few drops into your regular moisturizer for that extra "glow". Ingredients: Simmondsia chinensis (Jojoba) seed oil, Argania spinosa (Argan) nut oil, Camellia oleifera (Camellia) seed oil, Rosa Mosqueta (Rosehip) seed oil, Opuntia ficus indica (Prickly pear) seed oil, Tocopherol (Vitamin E), Lavendula Angustifolia (Lavender) oil. Second time purchasing this oil, I use it every day! The smell is amazing and it is very moisturizing without being greasy. I love the sample of the new oil to try as well! Will purchase again! Arrive very quick. Absorbs nicely and leaves my skin soft and not too oily-feeling. I purchased a custom blend of lavender & rose facial oil to help recover from contact dermatitis (used old cosmetic) and after some research I felt this would be the best oil due to the healing properties of the oils. There are many options on Etsy but the quality and past reviews convinced me to try the oil. Fast ship to Hawaii from Montreal and the oil is marvelous and helped quickly clear up not only the rash but the residual redness. Now I'm using the oil to keep my skin healthy. Works wonders in tropical weather too.